Описание: Эта книга поможет вам стать экспертом по вопросам интеграции локальной сети вашей компании в глобальную сеть Internet. В ней рассмотрены системы адресации, маршрутизации и способы организации соединений в сети Internet на практических примерах. В книге также освещается широкий круг теоретических понятий и принципов организации маршрутизации в сети Internet с использованием протокола граничного шлюза (Border Gateway Protocol . BGP). После знакомства с этой книгой вы будете способны самостоятельно строить свою сеть и планировать ее развитие. Независимо от того являетесь ли вы потребителем услуг Internet или же вы сами предоставляете услуги этой сети (т.е. вы являетесь сервис-провайдером Internet). 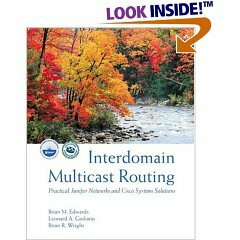 Описание: While several publishers (including O'Reilly) supply excellent documentation of router features, the trick is knowing when, why, and how to use these features There are often many different ways to solve any given networking problem using Cisco devices, and some solutions are clearly more effective than others. The pressing question for a network engineer is which of the many potential solutions is the most appropriate for a particular situation. Once you have decided to use a particular feature, how should you implement it? Unfortunately, the documentation describing a particular command or feature frequently does very little to answer either of these questions. 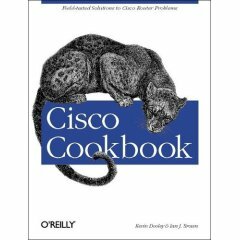 The Cisco Cookbook will quickly become your "go to" resource for researching and solving complex router configuration issues, saving you time and making your network more efficient. Описание: The Juniper Networks routing platforms are becoming the go-to solution for core, edge, metro and remote office networks, and JUNOS software is behind it all. The operating system is so full of industrial-strength routing protocols and IP innovations that those treading into the world of JUNOS will need clarification, explanation, and a showcase example or two. Look no further. 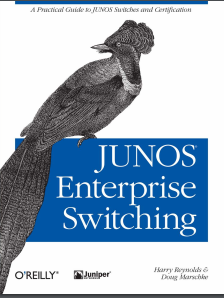 This JUNOS Cookbook provides it all and more. 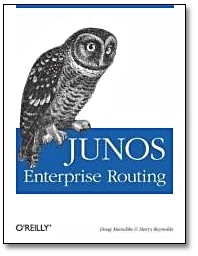 Описание: Written by the instructors and creators of the JNTCP-ER Certification Exams, JUNOS Enterprise Routing is the only comprehensive book for Juniper enterprise and edge routing environments. It offers complete coverage of all the services available to the JUNOS administrator, including the new set of JUNOS software enhanced services. Описание: What`s in This Book? The ultimate purpose of this book is to be the single most complete source for working knowledge related to Juniper Networks enterprise switching on the EX platform. Although you won`t find much focus on actual packet formats and fields, topics for which there is already plentiful coverage on the Internet and in bookstores, you will find information on how to effectively deploy JUNOS switching technology in your network. 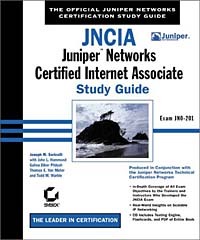 Описание: The book you need to prepare for the JNCIA exam JNO-201 from Juniper Networks. The JNCIA-M certification is the first of the four-tiered M-series Routers & T-series Routing Platforms track. It is the entry-level certification designed for experienced networking professionals with beginner-to-intermediate knowledge of the Juniper Networks M-series and T-series routers and the JUNOS software. The JNCIA-M (exam code JN0-201) is a computer-based, multiple-choice exam delivered at Prometric testing centers globally for U.S.$125. It is a fast-paced exam that consists of 60 questions to be completed within 60 minutes. The current passing score is set at 70 percent. 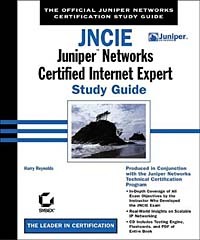 Описание: Here's the book you need to prepare for the hands-on JNCIE exam, CERT-JNCIE-M, from Juniper Networks. Written by a Juniper Network Senior Education Services Engineer with over 15 years of internetworking training experience, this Study Guide provides the information and insights you need to approach the challenging JNCIE hands-on lab with confidence. Описание: This Study Guide provides the information and insights needed to approach--and pass--the JNCIP hands-on lab exam (CERT-JNCIP-M). Get ready for the challenging JNCIP certification hands-on lab exam from Juniper Networks with the Official Study Guide from Sybex! Juniper Networks develops high-speed, scalable routers for the service provider and networking industry. They are challenging Cisco in the internetworking market with state of the art technology and innovation. Juniper Networks offers a four-tiered certification program. 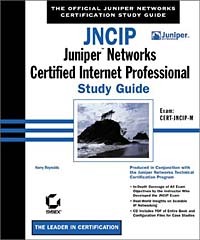 The JNCIP (Juniper Networks Certified Internet Professional) is an advanced, lab-based certification thattests network administrators in their knowledge of working with Juniper products and the JUNOS software in a multiprotocol network environment. Published in partnership with the Juniper Networks Technical Certification Program, and written by a Juniper Networks instructor, this official Study Guide provides in-depth coverage of all exam objectives along with practical insights drawn from real-world experience. The accompanying CD includes the entire book in searchable PDF as well as complete router configurations for case studies used throughout the book. Описание: Junos Security is the complete and authorized introduction to the new Juniper Networks SRX hardware series. This book not only provides a practical, hands-on field guide to deploying, configuring, and operating SRX, it also serves as a reference to help you prepare for any of the Junos Security Certification examinations offered by Juniper Networks. Network administrators and security professionals will learn how to use SRX Junos services gateways to address an array of enterprise data network requirements -- including IP routing, intrusion detection, attack mitigation, unified threat management, and WAN acceleration. Junos Security is a clear and detailed roadmap to the SRX product lines. Описание: In this practical book, Juniper Networks consulting senior network engineer, Peter Southwick, offers unique first-person field studies on designing, configuring, and troubleshooting new systems that are changing the networking world. Each chapter-long "travelogue" follows a team of Juniper Networks warriors as they solve specific needs with emerging network platform architectures. In these case studies, Southwick and his fellow warriors analyze a client`s particular situation, arrive at an architectural solution, and work through the deployment details. For anyone who operates, installs, designs, or works in IT, this book provides an intimate and entertaining look at what\u2019s changing and why. Описание: Discover why routers in the Juniper MX Series, with their advanced feature sets and record breaking scale, are so popular among enterprises and network service providers. This authoritative book shows you step-by-step how to implement high-density, high-speed Layer 2 and Layer 3 Ethernet services, using Router Engine DDoS Protection, Multi-chassis LAG, Inline NAT, IPFIX/J-Flow, and many other Juniper MX features. Written by Juniper Network engineers, each chapter covers a specific Juniper MX vertical and includes review questions to help you test what you learn. Juniper Networks supports a technical book program to publish books by Juniper Networks engineers and subject matter experts with book publishers around the world. These books go beyond the technical documentation to explore the nuances of network architecture, deployment, and administration using the Junos operating system (Junos OS) and Juniper Networks devices. In addition, the Juniper Networks Technical Library, published in conjunction with O'Reilly Media, explores improving network security, reliability, and availability using Junos OS configuration techniques. All the books are for sale at technical bookstores and book outlets around the world. The current list can be viewed at www.juniper.net/books. Описание: Increasing numbers of ISPs have begun implementing multicast infrastructure. Soon the Internet will provide multicast connectivity between any two points on the Internet the way it provides for unicast traffic today. Long-evolving protocols are reaching maturity, and enterprise networks and ISPs around the world are ramping up their multicast infrastructure. Now, more than ever, network engineers must be ready to deal with new applications that capitalize on the simultaneous, efficient delivery of data and imagery to multiple recipients. 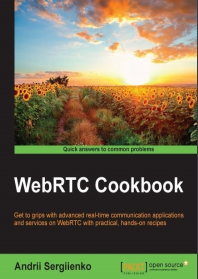 Описание: This book is written as a set of ready-to-use, practical recipes that cover a variety of topics related to developing WebRTC applications and services. It is assumed that you are familiar, in general, with WebRTC and its basic concepts. Working on some cases described in this book, you will have to deal with a Linux-based OS. All recipes are provided as a step-by-step guide. Although, if you have experience of working with and configuring Linux-based boxes, it would be useful. So, this book is for someone who is familiar, in general, with the WebRTC stack, and who has at least basic skills in software development. 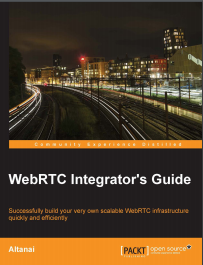 Описание: WebRTC Integrator's Guide is a deep dive into the world of real-time telecommunication and its integration with the telecom network. This book covers a wide range of WebRTC solutions, such as GSM, PSTN, and IMS, designed for specific network requirement. It also addresses the implementation woes by describing every minute detail of the WebRTC platform setup from the APIs to the architecture, code-to-server installations, RCS-to-Codec interoperability, and much more. 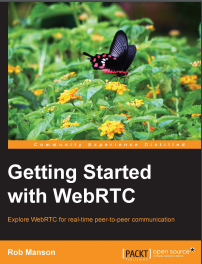 It also describes various enterprise-based use cases that can be built around WebRTC. 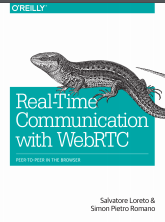 Описание: Web Real-Time Communication (WebRTC) is a new standard that lets browsers communicate in real time using a peer-to-peer architecture. It is about secure, consent-based,audio/video (and data) peer-to-peer communication between HTML5 browsers. This is a disruptive evolution in the web applications world, since it enables, for the very first time, web developers to build real-time multimedia applications with no need for proprietary plug-ins. 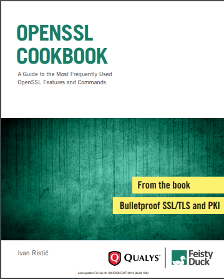 Описание: A short book that covers the most frequently used OpenSSL features and commands. Provides OpenSSL documentation that covers installation, configuration,and key and certificate management. Includes SSL/TLS Deployment Best Practices, a design and deployment guide.